In 1998 Seamus Whitney founded Whitney Career Guidance, an organization committed to helping others reach their full potential. Specialising in Career Guidance, Training and Personal Development, Whitney Career Guidance has helped many people reach their career and personal goals over the past 20 years. Over the years, Whitney Career Guidance has expanded their range of services to include Life Coaching, CV and Interview Preparation, Aptitude Testing and Study Skills. Recently a new Writing Mentoring service was added to provide support in both the creative and academic writing areas. We pride ourselves on providing clarity to all our clients while providing ongoing support when and as needed. Our mission is to empower our clients to make decisions which will help them…. leading to meaningful Work that they can relate to. Seamus has over 20 years experience working in industry, the vast majority at Management level. He holds qualifications in Management, Science, and Quality Assurance, is a Qualified Life Coach and is registered with Saville & Holdsworth, European Leaders in Psychometric Assessment. Seamus Whitney is one of the regions foremost Careers and Training Consultants. He is renowned for his ability to inspire positive change and to uplift all those who attend consultations with him. Seamus has been instrumental in the development of ground breaking Personal Development Courses such as “Enhance”, “Perceptions” and “New Dawn”. These programmes have enjoyed considerable success in the recent past. Mary brings a broad range of qualifications and experience to her role as a Career Consultant with Whitney Career Guidance. Holding Qualifications and Academic Excellence Awards in the areas of Social Care and Training and Development, Mary knows what it takes to succeed in Third Level Education. In addition Mary has hands on experience of working in many industry sectors including but not limited to; Business, Social Care, Youth Services, Training and Development, and Psychology. Mary is in a prime position to guide and advice people of all ages to fulfill their education and career potential. Her strong observational skills matched with her ability to listen and engage with her clients, allows her to provide a client centered and a holistic approach to the services that she provides. Mary has a keen interest in social psychology, particularly motivating people to reach their potential, and recognising within themselves that they have the ability, strength, skills and knowledge to do so. and so I push open one heavy door after another to find me”. Bríd has been with the company for a number of years now and is fully trained in the Whitney Career Guidance model. 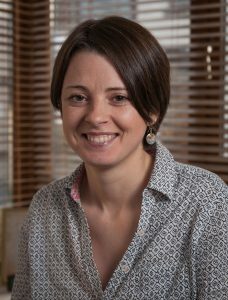 Bríd’s earlier background was in the financial world having graduated with a BA (Hons) in Business with Finance. Most of Bríd’s early year’s work experience was in Investment Banking having being head hunted directly from college. Wanting to work in more people centred roles Bríd took up part time study in social studies and began working in the Social Care sector. It was from this work that Brid began her journey of helping to motivate and guide people to achieve their full potential. She quickly obtained responsibility working directly with individuals identifying and implementing their personal development plans. This has led to continuing down a road of helping and guiding others, having gained an understanding that everyone has their own unique skill set and ability to reach their fullest potential. Brid has also a keen interest in Art and Design, and has completed further studies in this area. Brid’s unique skill set, easy manner and ability to see the bigger picture makes her a valuable asset to the Whitney Career Guidance Team. Brid enjoys working one to one while at the same time being part of a broader team that really makes a difference in people’s lives. Outside of her work with Whitney Career Guidance she facilitates groups and individuals who are committed to finding a true purpose and way of being in the world. For this reason she feels being part of the Whitney Career Guidance team, is the perfect place for her. Laura has recently graduated with a First Class Honours BA (Hons) in Business with Marketing and is a member of the Marketing Institute of Ireland, and therefore possesses first hand knowledge of how to overcome the challenges of third level studies. Currently working as a Digital Marketing Coordinator, Laura has strong communication skills as well as the ability to understand and meet individuals needs. Laura is passionate about using her own experience and studies in business to advise and guide others on the subject. Laura has studied Business and Economics at both Senior Cycle and Third Level and has received Academic Excellence Awards for her performance. 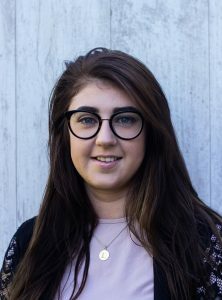 Taking a student centred approach to tutoring, Laura strives to fulfil the specific educational needs of each individual student. The student’s ability to reach their potential will be enhanced by integrating study skills into the grinds session. Approachable, co-operative and committed to getting each student to reach their full exam potential by breaking down the complexities of study into simple and achievable habits. While the topic of a research thesis will vary among students, the fundamental basics (layout, language, formatting, flow etc.) are the most common areas where marks are lost. Having received a distinction grade in her undergraduate research project, Laura endeavours to assist and support others with their individual dissertations. Laura’s current role in Marketing promises skills in engaging and creative content writing and proof reading. This, paired with an undeniable attention to detail and hunger for perfection grants Laura the ability to help you achieve your academic goals.